Dogs, and animals in general, are one of life’s simplest pleasures. There’s a reason we turn to our pets for comfort when we’re sad, or de-stress by watching videos of happy cats and silly dogs doing their thing on social media. Animals lead their lives blissfully unaware of the existential fears that weigh on their human companions, which may be why we tend to react so strongly when dogs and death are combined on screen. Case in point: 2017's A Dog’s Purpose, which was laden with ennui thanks to its bizarre reincarnation theme. 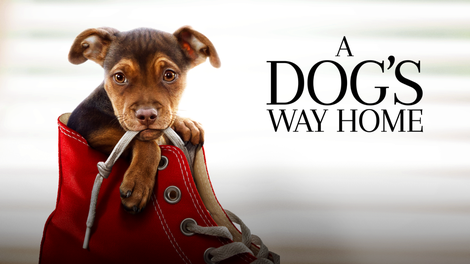 This year’s entry into the winter animal-movie canon, A Dog’s Way Home, comes this close to just being a simple, cute animal movie, until the humans complicate things. To be clear, A Dog’s Way Home is not an official sequel to A Dog’s Purpose. (That would be A Dog’s Journey, due in theaters in August.) But it does come from the same writers, W. Bruce Cameron and Cathryn Michon. And, like A Dog’s Purpose, it’s based on a novel written by Cameron, who’s made quite a career for himself as a peddler of feel-good fiction for animal lovers over the past decade. (Before that, he was in the feel-good family humor business, publishing 8 Simple Rules For Dating My Teenage Daughter in 2001.) This lineage is clear in the film’s dog-centric POV: The title character and narrator, pit bull mix Bella (Bryce Dallas Howard), is full of naive turns of phrase reminiscent of Cameron’s previous screenwriting effort, like calling snow “snowdoyourbusiness” after her owner Lucas (Jonah Hauer-King) tells her to, you know, do her business outside on a snowy day. Bella just adores Lucas, and the wholesomeness of her pure and loyal level is amplified to heartrending levels by the maudlin score and cutesy narration. It’s a cheap trick, to be sure, but also an effective one. Then Lucas and his Army veteran mom, Terri (Ashley Judd), are forced to send Bella away after running afoul of Denver, Colorado’s pit bull ban, succinctly explained here as, “It’s like racism for dogs!” (Reductive, but also kind of true.) This is despite the fact that Bella is only half pit bull; in the film’s closest brush with adult reality, Lucas and Terri are targeted by a vindictive, corrupt dogcatcher in league with the slimy developer who wants to kill a colony of feral cats living across the street. (The cats do not talk, by the way—only Bella does, and only in voice-over.) Once Bella is officially branded a “banned breed,” she can’t stay within the Denver city limits, or she’ll be euthanized. So, until Lucas and Terri can find a new place in the suburbs, it’s off to New Mexico to stay with the kindly parents of Lucas’ girlfriend, Olivia (Alexandra Shipp). Confused by her new surroundings, Bella soon escapes. Her mission is straightforward dog logic: Go home. 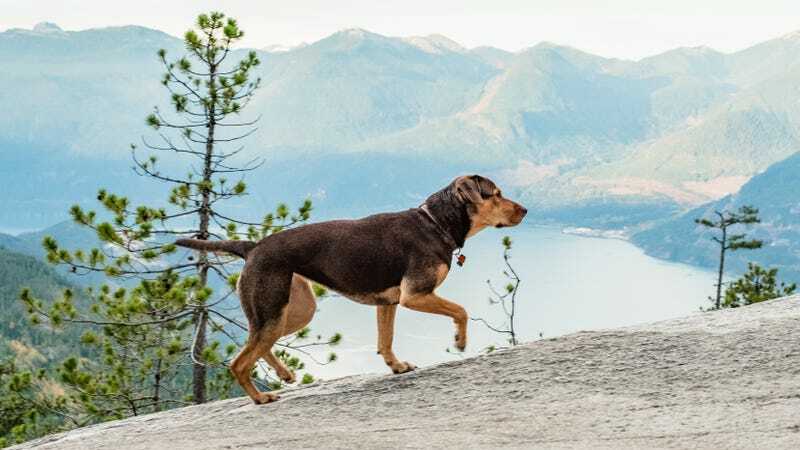 Bella’s picaresque journey home will take her across hundreds of miles of picturesque mountain ranges, for some beautiful nature photography that provides a wholesome pleasure all its own. That pleasure is undercut by some pretty awful CGI in a middle segment where Bella befriends an orphaned baby cougar; the logistics of not wanting to bring a live cougar on set make sense, but that doesn’t diminish how jarring it is when the real and fake animals share a frame. Even more jarring is a segment where Bella ends up living with a homeless veteran for several months, then nearly dies of dehydration while chained to his lifeless corpse after he dies in his sleep at their campsite. This seems to be a preferred device of Cameron’s. (The aforementioned A Dog’s Purpose has a similar morbid streak, given that the dog has to die in order to be reincarnated.) These sobering scenes are presumably meant to cut the sweetness of the film, and may potentially have worked if A Dog’s Way Home had anything resembling subtlety in its narrative tool kit. But not only is Cameron incorrigibly heavy-handed, director Charles Martin Smith (who also directed the original Air Bud) plows through the darker material at a relentlessly cheerful kids’-movie clip, for an incongruous marriage of tone and subject matter that’s honestly a bit unsettling. That being said, your kids probably won’t have time to really internalize the nightmare scenario of finding a starving dog next to a dead body while out riding bikes as experienced by two minor characters in this movie. Your existential terror levels, however, may vary.